Have issues with palying DRM protected Digital Copy movies on Microsoft Surface 2, Surface Pro 2, Surface RT/Pro tablet ? Here you will find an effective way to achieve your goal smoothly. On September 23, Microsoft announced the release of their newest tablets, the Microsoft Surface 2 and the Microsoft Surface Pro 2, claiming the Surface Pro 2 is faster than 95 percent of all laptops. The modifications are exciting. The differences are a huge upgrade from the first installation of the Microsoft Surface tablet. The Surface 2 and Surface Pro 2 will both still feature VaporMg Casing and a 10.6-inch screen, but now with half the reflectivity of competitors. And the display resolution of the Surface 2 will jump up to 1920 x 1080. This is a dramatic jump from the 1366 x 768 resolution of the Surface RT. Microsoft has also added a ClearType full HD display to the Surface 2, giving it a lighter, thinner and faster screen with 56 percent more color accuracy. This upgraded display was previously only found on the Surface Pro. 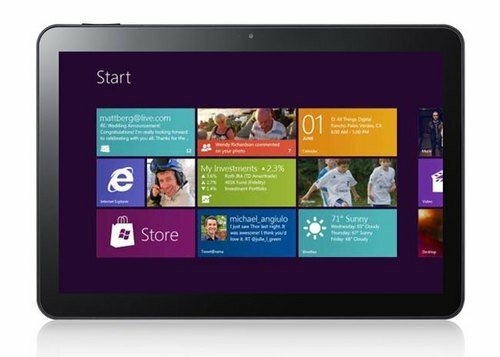 It’s great for users to enjoy HD movies on Microsoft Surface 2, Surface Pro 2, Surface RT/Pro, such as Digital Copy movies. Digital Copy extends the enjoyment of your DVD or Blu-ray purchase. The neat part is that you can have a backup copy of your purchased movies, and bring them along with your Microsoft Surface, iPad, iPhone or iPod. But if you own an tablet like Surface 2, Surface Pro 2, Surface RT/Pro, the digital copy feature does not make much sense to you- as the digital copy movies transferred from DVD or Blu-ray are protected by DRM and thus unavailable to Microsoft Surface. Before downloading Digital Copies to Microsoft Surface, we need to do some work in advance. I mean we have to get rid of DRM restriction from Digital Copy first with a DRM removal tool. Pavtube ChewTune and ChewTune for Mac is recommended for you bypass/crack DRM and convert digital copy movies to Microsoft Surface acceptable MP4 videos. 1. Make sure that your computer is authorized for source videos, that is to say you can play the source digital copy using Windows Media Player. 3. It would take as long as the source movie length for the whole DRM protected Digital Copy to Surface conversion process since Pavtube ChewTune records source DRM videos in 1:1 video and audio quality. Step 1: Download and install ChewTune. Step 2: Click “Add” button to import your Digital Copy movies or just drag and drop the movies to the software. Batch conversion is supported so that you can add multiple files to convert at a time. Step 3: Click “Format” bar and move mouse to “Windows” column, you can easily find the profile of “Microsoft Surface Windows RT H.264 Video (*.mp4)”. The output videos could fit on Surface RT tablet perfectly. If you like, you can click “Settings” to change the video encoder, resolution, frame rate, etc. as you wish. Step 4: Click the big “Convert” button to begin removing DRM from Digital Copy and convert DRM-free Digital Copy movie to Surface 2, Surface Pro 2, Surface RT/Pro playable video format – MP4. Once the encoding task completes, you can transfer the result videos to your SD card for your Surface. There now you know how to get Digital Copy movies onto your Microsoft Surface 2, Surface Pro 2, Surface RT/Pro tablet so you can watch them on that gorgeous screen! This workaround works with Windows 8 as well, of course. 1. About ChewTune – An easy-to-use yet intuitive and stable DRM converter which can help you strip DRM protection from iTunes, Blu-ray/DVD Digital Copy movies Amazon, Zune, BBC iPlayer, Napster, Blockbuster, etc. and convert videos to all popular video formats like MP4, MOV, MKV, WMV, AVI, FLV, etc. for playing and sharing anywhere you like. The audio/video synchronization is very good and the quality of the converted videos too. It’s completely free for protected Audio files. 2. Check out “The Ways Transferring Files to Your Surface” if you have no idea about Surface file transfer. 3. There are a few tips for movie lovers who have already handed on the Windows 8 tablet and those that are about to buy the Surface 2, Surface Pro 2, Surface RT/Pro Tablet for entertainment, for details, refer to the post – “Watching Movies on Microsoft Surface RT: Basic Tips. Since Apple released iPad, it has achieved great success in tablets market. Though android is a big rival to iPad, and there are many dual core, high configuration android tablets, but, due to experience, software, system etc, not yet constitute a substantive challenge to the iPad. As the Overlord of PC system, Microsoft will not stand idly, with the continuous optimized Windows Phone platform and low price strategy, Microsoft plan to be new challenger to iPad.